Reverend Dyanne Alice Corey was born and reared in Roxbury, Massachusetts. She received her Bachelor of Science degree in Broadcasting & Film from Boston University. 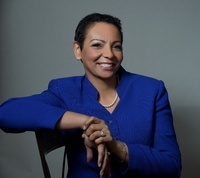 After several years as Municipal Producer for the City of Austin Channel, she left the television cable industry and entered the field of social service where her passion for social equity and justice led her to roles as an advocate, outreach educator, and Executive Director for various non-profit agencies, such as the American Cancer Society, and Boston’s Team Harmony Foundation. Her professional and community work were instrumental in the development of the Boston Healthy Start Initiative, a landmark initiative and a community institution for the Boston Public Health Commission. Reverend Corey began serving God in the Baptist Missions Prison Ministry. Her ministry roles over the many years included Sunday School teacher, Youth leader, Women’s leader, Marriage Ministry leader, and Spiritual Formation Facilitator. She established O.A.S.I.S 139, a ministry of creative self-expression, which offered healing to abused and abandoned women. 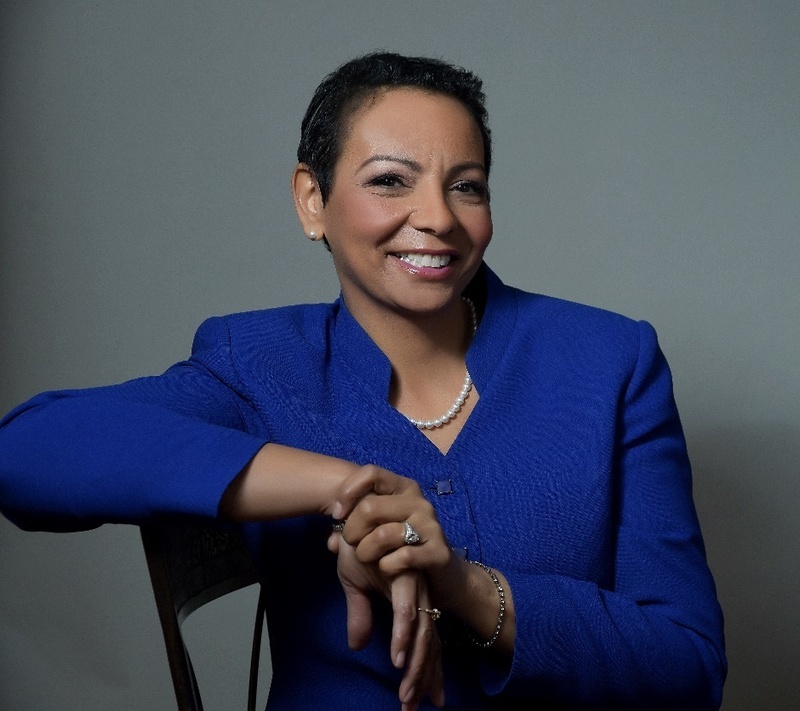 Reverend Corey responded to God’s call to pastoral ministry earning her Master of Divinity from Fuller Theological Seminary, with a concentration in pastoral care, family counseling and addiction recovery. Reverend Corey completed her Clinical Pastoral Education residency and served as a hospital and hospice chaplain for major hospital systems in New York and California. Prior to her membership with UMC, Reverend Corey served as an ordained Associate Pastor for Christ Fellowship Baptist Church, Brooklyn, New York. Reverend Corey has been married to her best friend Jeffrey Corey for 35 years. Their son Jay and his wife Katie have a five month baby boy, Finis living in Washington. Their daughter Janay lives in Rhode Island; and their youngest son, Blair resides in California. Maureen brings over 30 years teaching experience along with a MS in Education and training at Friends Academy in Locust Valley to our school, where she has been both teacher and director since 1991. It is a tremendous honor and privilege to serve as Lay Leader of the Bellmore United Methodist Church. It is a congregation with great love for God and each other. The role of Lay Leader can vary greatly from church to church. I see my main functions as serving as a liaison between the pastor and the congregation, interpreting and explaining programs and policies of the local church and the NY Annual Conference to the congregation, and providing a sounding board for the pastor to discuss what is happening in the congregation, both positive and less so. I also may have the privilege of attending District and Conference events with the pastor. In an emergency, such as a sudden pastoral illness, I may be called upon to preach on short notice. Another important role is to promote, in cooperation with the pastor, the spiritual growth of the church members in their understanding of Christian principles and maintaining spiritual disciplines, such as bible study and stewardship of our time and money. To help me in this, several years ago I took training to become a Certified Lay Speaker; I maintain my certification through periodic refresher training. Certification also grants me the privilege of serving as "pulpit supply", preaching on behalf of United Methodist pastors in other congregations when they are on vacation or away for other reasons. I am a strong believer in the benefits of the Walk to Emmaus. A Walk is a 3-day experience intended to deepen a person's relationship with Jesus Christ and strengthen him or her as a church leader. Men's and women's Walks are held separately, within a few weeks of each other. Married couples are encouraged to attend corresponding Walks, so they can share their experiences. Although sponsored by the United Methodist Church, the Walk to Emmaus is open to all Christians who want to grow in their faith. There is also a version for youth called Chrysalis. I attended a Tres Dias weekend, an alternate ecumenical version of Walk to Emmaus, and have served as "Chief Music" on several Walk to Emmaus teams. My personal spiritual journey, like most Christians I expect, has not been a straight line. The grandson of a Dutch Reformed Church minister, my grandfather's church was too far from my childhood home to attend church school there every week. Instead, I was confirmed in the local Methodist church at age 13 but drifted away from the church in my later teenage and young adult years. It was not until I was 28 years old that I started attending church on a regular basis again - not from some great spiritual awakening - but because the woman I was dating was a regular church-goer. I wanted to be with her on Sunday. Through this wonderful woman, who has been my wife since 1981, I started hearing God's Word on a regular basis. The seed that was planted took root and I grew into my own relationship with God and His Son. I have often felt God's presence in my life and heard Him speaking to me. As a student of Chemistry in both college and graduate school, people have often asked me how I reconcile my scientific training with my Christian faith. The fact is, I see no conflict between the two. I see God all around me in the glory of His Creation and I consider science to be God permitting us to see "behind the scenes" into the wonderful way He has designed it. "Walk with me, I will walk with you, and build the land that God has planned, where love shines through." Bill served as our Lay Leader for 17 years before taking a break from the role and taking it up again in January 2014. The position of Lay Leader is an elected, volunteer role. For those not familiar with United Methodist leadership, an analogous position in another denomination might be lead elder or president of the congregation. The Staff/Pastor Parish Relations Committee is responsible for supervising the paid staff of the church - the pastor, administrative assistant, music director and sexton / custodian. If you have any issues, concerns, questions, suggestions about the staff, please do not hesitate to speak with any member of the committee. The Church Council is the governing body under which all other church committees fall. It is comprised of the Pastor, the Lay Leader , the chairs of all the committees, and at-large members elected by the Charge Conference. When necessary, with the approval of the District Superintendent, the Council may be convened as a Special Charge Conference to conduct extraordinary business that only a Charge Conference may conduct. The Finance Committee manages the church's funds and recommends an annual budget to the Church Council. As part of the budget process, the committee reviews salary recommendations from the Staff / Parish Relations Committee and either endorses the SPR figures or makes it own salary recommendations, based on the church's financial resources.